"I spent four years in Australia in the early 70s and when I came back to London in 1976, it was a different place," explains British photographer Syd Shelton. "The National Front had got 17% of the vote in the Greater London Council elections; there were racist marches in multicultural areas; even the police were institutionally racist. Believe it or not, being anti-racist was actively difficult – you were branded a 'loony leftie.'" It was against this backdrop of burgeoning xenophobia that the Rock Against Racism movement – slogan, 'Love Music, Hate Racism' – was born. 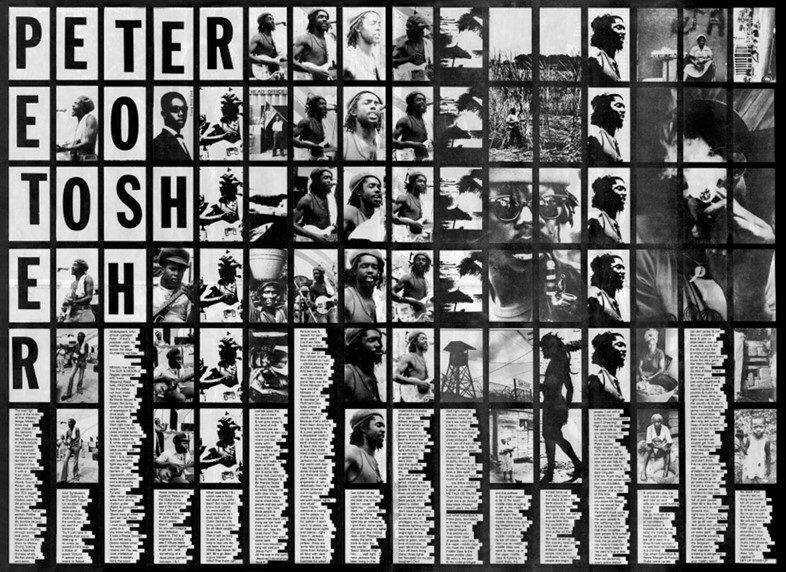 "We were a loose, anarchic group of artists, photographers, writers and political activists whose aim was to fight facism and racism through music, and we loved it," Shelton enthuses of the five-year project, which saw reggae and punk bands performing together in various venues across Britain, attracting large multicultural audiences and promoting a forward-looking culture of acceptance. Shelton, then a zealous 29-year-old, was there every step of the way, camera in hand, as the project's official photographer. "It was a full-time job and it took up a lot of time, but it was great fun because we were racing up and down the country, going to fantastic gigs and carnivals." The resulting photographs are a brilliant mishmash of performance shots of the bands involved (think The Clash, Elvis Costello, Misty in Roots, The Specials) and snapshots of the clamouring crowds, all serving to perfectly capture the atmosphere of this thoroughly post-modern movement. Next month will see the opening of new exhibition of these works at Autograph ABP London, and Shelton is hoping to inspire a new generation of activists. "I hope people, right in the middle of Shoreditch sit up a little bit and go, 'hold on a minute, these were interesting times.' You can change things and you can actually take a stand. Even in the most difficult of situatations." Here, we sit down with Shelton to hear some of the fascinating stories behind our favourite images from the show. 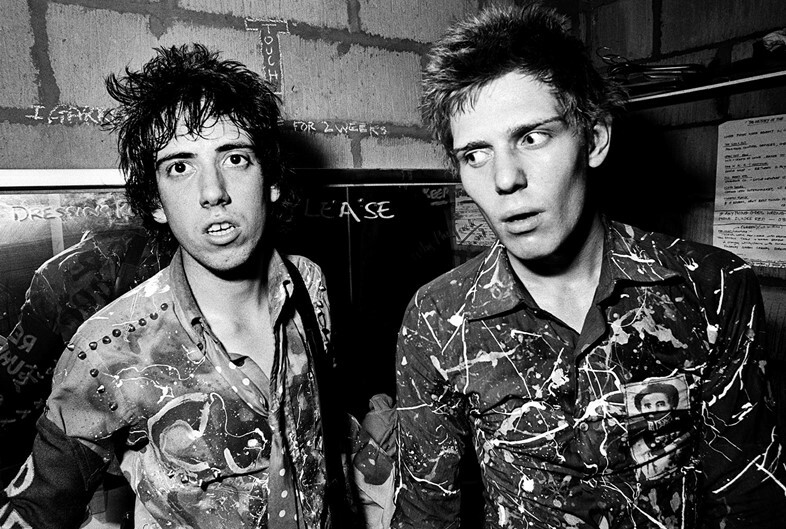 "I think this was taken at Music Machine in Camden Town and it's obviously Mick Jones and Paul Simonon of The Clash. They were backstage, wearing Vivienne Westwood shirts. They customised them by putting on these rectangular pieces of glittery woven silk that were made in China. They had pictures on of Chairman Mao and things like that. That was in 1977, so quite early on. I asked Mick Jones recently if he remembered where it was and he couldn’t remember either, which is quite amusing actually. 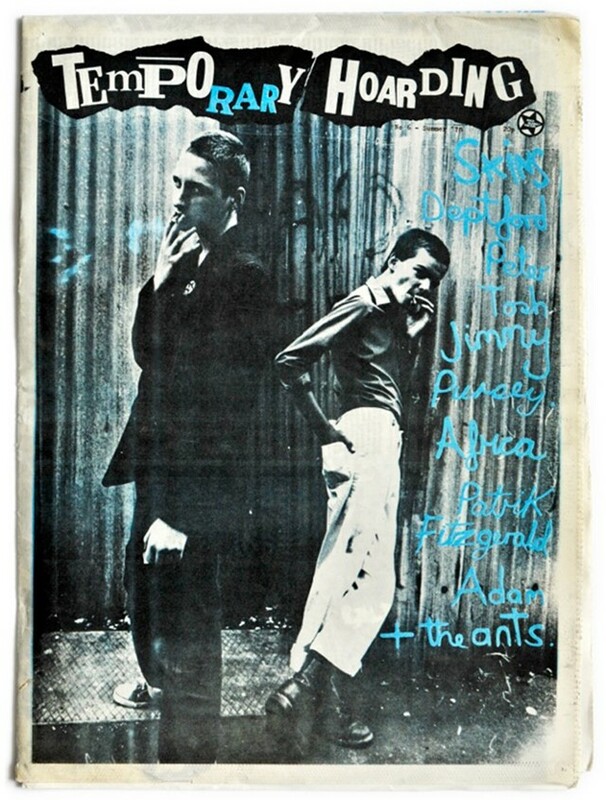 The Clash were such an important band, and really important to Rock Against Racism. " "This was taken during the Militant Entertainment Tour, where we toured with three bands for three nights and then switched to three new ones – we travelled all over the country. This photograph was taken at this bizarre place called The West Runton Pavilion, which has long since been demolished. It was a massive great shed on a deserted beach, far from anywhere, on the north coast of Norfolk. I remember driving up there from London in a big van with the PA equipment in, thinking, 'where’s everybody going to come from, how’s everybody get here?' But they simply arrived, in their dozens, from the south in these chartered double-decker buses, and the bus driver sat outside the pavillion for the whole gig and then took them all away again afterwards. It was crazy! "Misty in Roots and The Ruts were playing and I saw this girl get on the stage and I thought, 'I gotta get that picture!' so I climbed over people’s heads with two Nikons, got on stage and stood right next to Malcolm Owen, the singer of The Ruts. I took the photograph and then I was unceremoniously thrown straight off the stage and into the middle of the crowd by the bouncers. Of course in those days we used film and worked so fast that you were never totally sure that you got the shot. I remember driving back at five in the morning and going straight into the dark room to see if I’d got the shot, and it worked!" "This is the musician 'Bagga' – whose real name was Bevin Fagan – he's passed away now sadly. 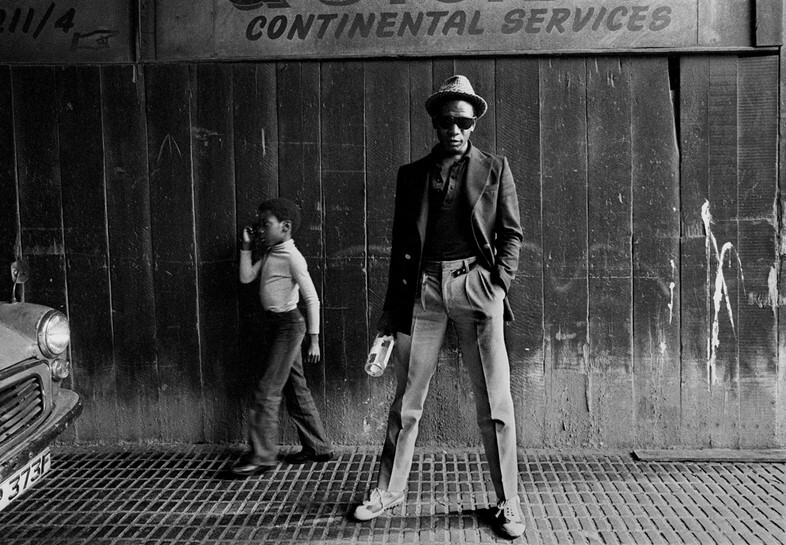 He was the lead singer of a band called “Matumbi” – one of the first bands to play Rock Against Racism and one of the leading exponents of 'lovers rock'. They were formed by a man called Dennis Bovell who went on to produce for people like The Smiths and is still a big producer today. The young guy behind Bagga is Bovell’s son. This was taken in Hackney in a place that I used to jokingly call my studio. It's underneath railway arches and the light was always really beautiful because it was biased to one side." "I like this one a lot. Carol Tulloch, one of the co-editors of the book, spotted it a few years ago on a contact sheet – it was one I'd never even noticed! It was at a big march called The Carnival Against the Nazis in Potternewton Park, in Leeds. We made the headlines that day, so it was a special day. 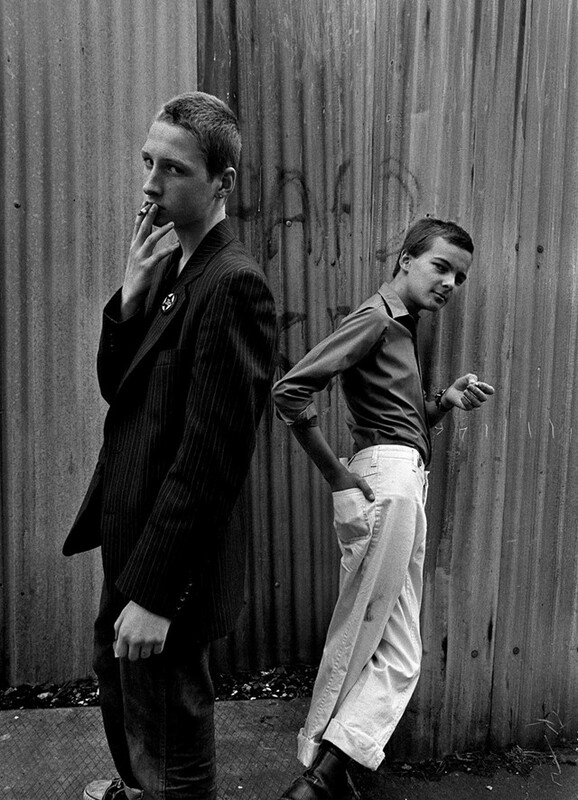 Their gear originally came from the Rudeboys in Jamaica and these three young kids had reappropriated it as skinhead style – Harrington jackets, Ben Sherman button-down shirts, braces. So it has gone full circle from the Rudeboys to the skinheads back to the Rudeboys." 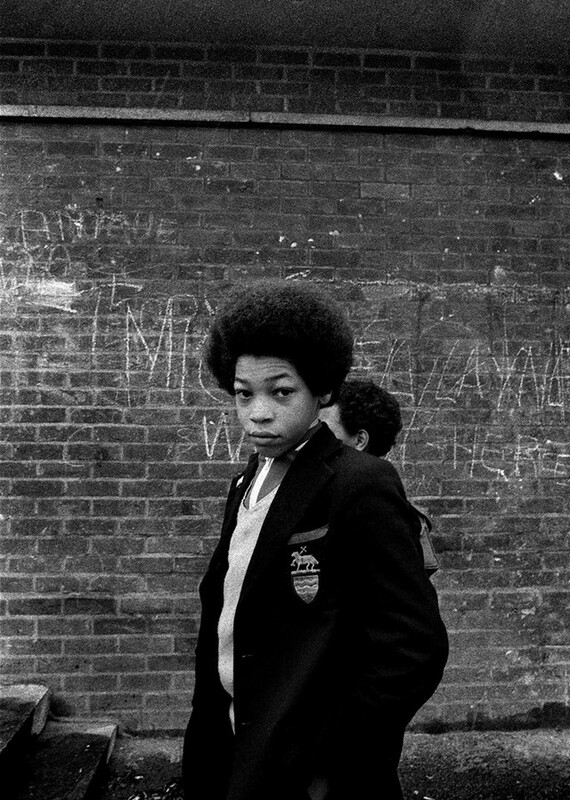 "I was living in Brixton at this time and I used to take my camera with me when I went out walking; I still do in fact, I’m very much a street photographer. I walked up the road and there was a whole load of school kids outside Tulse Hill school. I took lots of shots but this one really was the one: the way he turned around and gave me that magic look. Normally, I have to set a picture up often but with this one, he just happened to walk past and look at me that way." "This was taken in Hoxton. I have no idea what their names were but these two got in contact with me because they were part of “Skins Against the Nazis,” an organisation set up to combat the National Front. They had at numerous divisions – “School Kids Against the Nazis”, “Skateboarders Against the Nazis” and so on but Skins Against the Nazis was significant because there had been a period where skinheads had adhered themselves to racist ideas, so they were really making the point that they were anti-racism. I said immediately, 'I’ve got to take pictures of you,' and we spent an afternoon doing photographs. They really enjoyed it – like a lot of us in those days, they were posers in a period where style was a big deal. 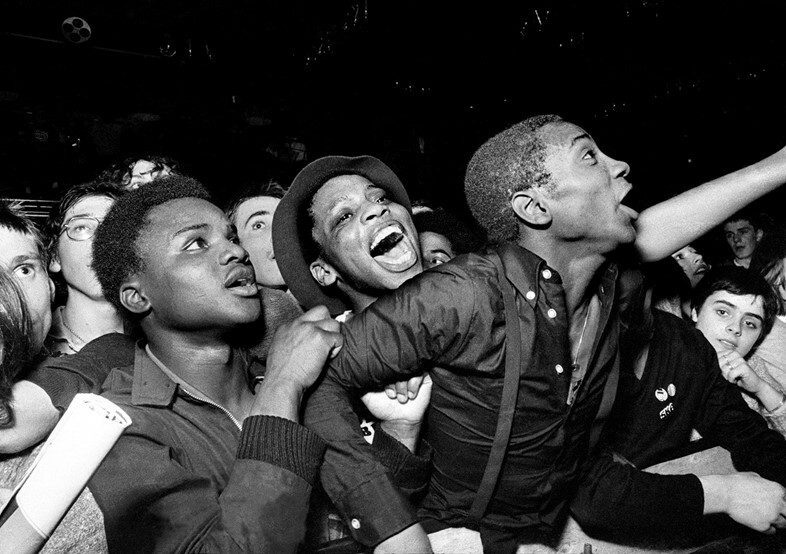 It isn’t as important as it was then – style used to be like a badge of honour, showing your adherence to your ideas, your politics, which bands you supported..."
Rock Against Racism is at Autograph ABP from October 2 until December 5. The accompanying publication is available from October 1.